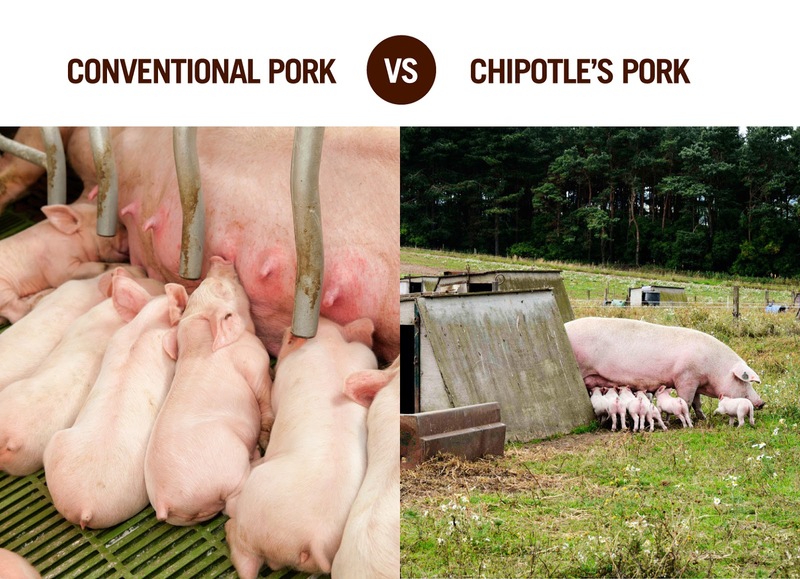 The restaurant chain Chipotle Mexican Grill claimed in 2014 that you'd only find "responsibly raised pork" in their carnitas. Supporters of Go Hillsborough made similar claims about the political pork in their sales tax hiking "transportation plan". However, both of these claims turned out to be untrue, leading to the easily predictable blows to reputations that followed in both cases. any difference? After all, the little piglet porkers feed enthusiastically in both cases. On 4/27/2016 the "Go Hillsborough" transportation plan sales tax hike failed to attract the simple majority of votes required from Hillsborough County Commissioners in order to be placed on the ballot in November. It lost by a 4-3 vote. First things first: we should all be very grateful to Hillsborough County Commissioners Stacy White, Sandy Murman, Al Higginbotham and Victor Crist for having the courage to say "no" to a bad plan that was developed through a deeply flawed process. In doing so, they broke a pernicious pattern: four bad transportation plans involving sales hikes have been put to a vote in the Tampa Bay area in the last six years. All four were soundly defeated, one with 72% NO. However, are we certain that Go Hillsborough really is dead yet? In a newsletter two months ago, prominent activist Sharon Calvert warned that Go Hillsborough lives on like a swamp creature from a bad low budget movie. And now we see efforts in and by the press, and at government agency meetings, to revive the Go Hillsborough swamp creature again. Various efforts to administer CPR to the Go Hillsborough corpse are thus underway, and we really can't rest easy until leaders on the other side issue a written death certificate. The central transportation issues have not disappeared. They have to be discussed and resolved, and we can't have that dialogue until the other side stands down. That's why I appeal to leaders on the other side: issue an official Go Hillsborough death certificate. It has to be from a leader among you, whether that be Ken Hagan or Bob Buckhorn, or even Tampa Chamber CEO Bob Rohrlack. That would serve as an honorable discharge for this private, and more importantly: a signal to all that we can finally move on. It's time for a truly honest and transparent discussion amongst elected officials and stakeholders that's not filtered through consultants or bureaucrats. 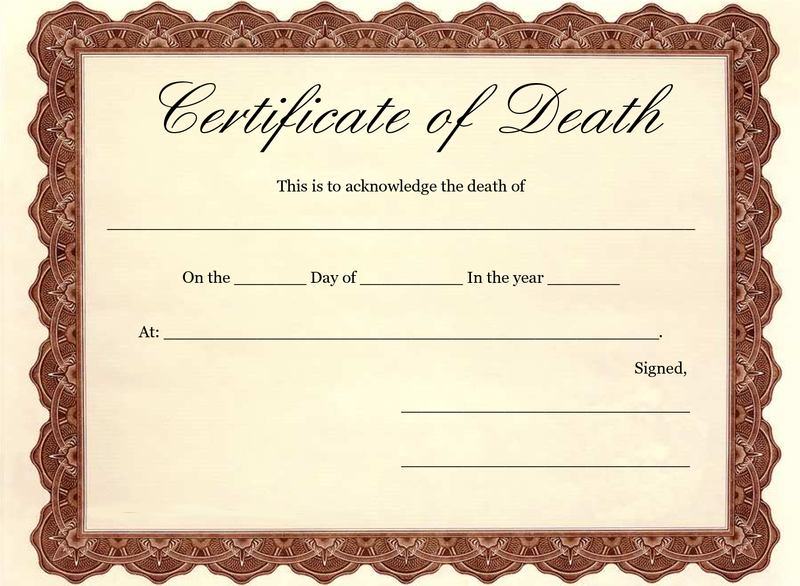 You will notice that the above form does not have a place for "cause of death". That's because it's not important. In this case, there certainly was a straw that broken the camel's back....but that straw wouldn't have done so had the Go Hillsborough camel not already been overloaded to begin with, and thus greatly stressed. Although it's great fun to speculate about that one factor that made the difference, it's better to focus on the future. Let's work together and formulate a "Year 2025 Hillsborough Transportation plan." What projects should we prioritize in the next 5-10 years? Let's not waste time looking further forward in time than that because history shows us that it's impossible to know what our needs will be that far in to the future. Thanks to Uber and similar companies, driverless vehicles, telecommuting and other changes in our daily lives, we are on the cusp of a transportation revolution. As somebody once remarked: "I don't know what the future will be, except that I know it will be wonderful." Transportation is a key component in that future. And in that faith let us march toward the clean world our hands can make. Let's create that "clean world our hands can make" that Roosevelt spoke of because we make our own transportation choices. Not political operatives pretending to perform community engagement efforts while being paid out of the public till.